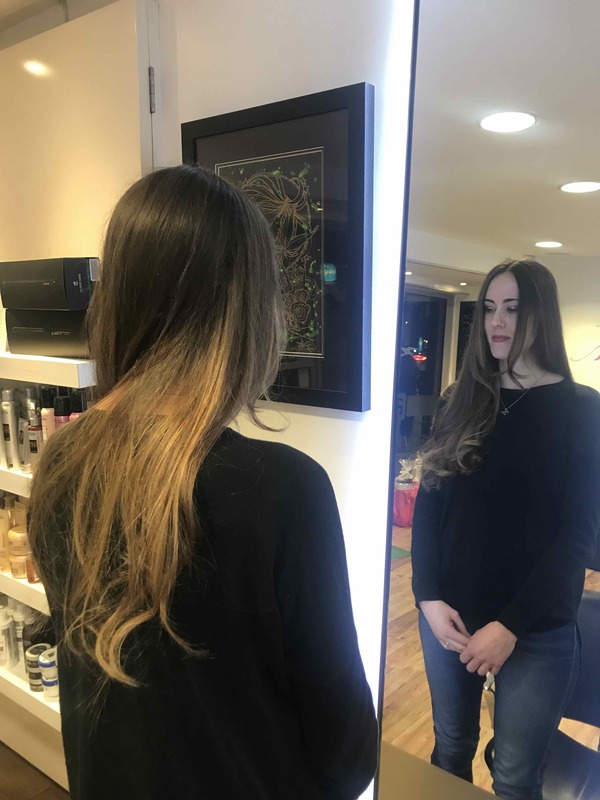 The hair colouring experts at Aidan Garlington Hair design are really excited this week, with the official launch of our instant hair highlighting service from our central Bristol hair salon. This new and rapid hair lightening service is available for clients, utilising L’Oreal Instant Highlights. 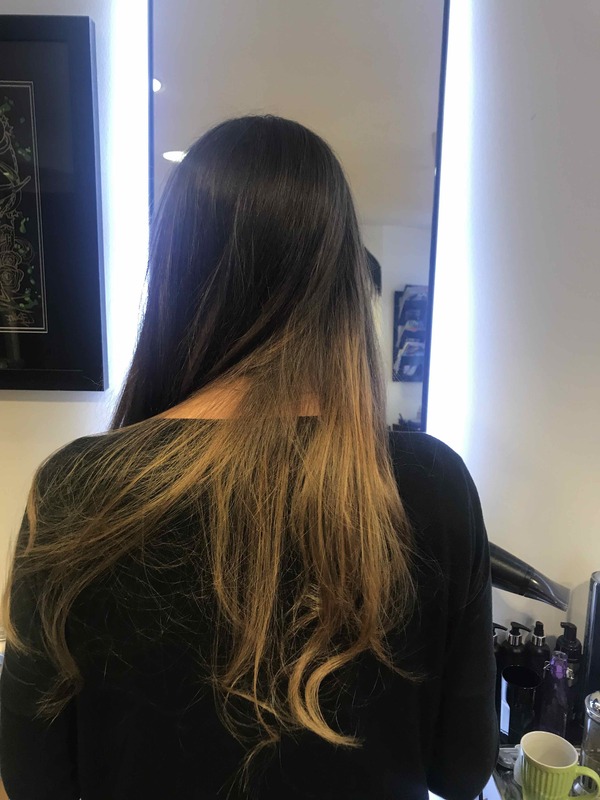 The Instant Highlights service offers clients flashes of colour, all completed within a lunch hour and no need for a skin patch colour test beforehand. The processing time ranges from 2-30 minutes, depending on the amount of hair lightening the client requires, whilst the Instant Highlights can deliver up to six shades lighter, without needing a hair toner or multiple colours. This express hair lightening service is applied away from the scalp, and is perfect for refreshing tired grown-out hair, or for an exciting new look for Spring and Summer. 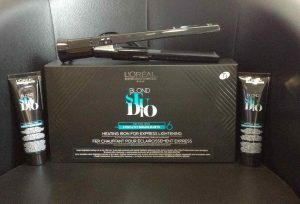 The L’Oreal Instant Highlights service will also be popular with clients who are time-poor, or looking for lighter hair without committing fully to a new hair colour. Instant Highlights are also suitable for a balayage refresh if needed. The new Instant Highlights service utilises Pro-Heat technology giving clients up to six shades of hair lightening in half the usual hair colouring time needed. The three-part hair highlighting system uses the Instant Highlights Heating Iron, Instant Highlights Lightening Cream and Instant Highlights Aluminium Foil to work together and instantly lighten hair in a safe, controlled way. The new service protects the hair from damage during the heat process, with the bespoke Iron operating at a lower temperature of 140 degrees at all times. It’s a superb, fast, proven hair lightening system which can see a client enjoying a hair highlighting service within an hour, and at a great price too. The Instant Highlights service costs between £15-£45, just ask for further details in-salon. Please mention this blog when you make your booking. To find out more about L’Oreal Instant Highlights, please visit here. To see the full range of hair highlighting, hairdressing, British Hair products, hairstyling equipment, hair straighteners, hair curlers, curling wands, men’s hairdressing, hair treatments, hairstyling services, hair toning, hair colouring, haircuts, creative cutting, gents hairstyling, hair care, hair styling equipment, haircuts, and hair extensions we offer, please get in touch here.